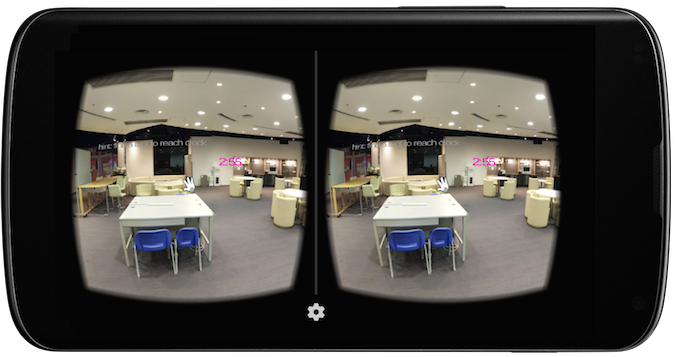 The Google Cardboard, which is simply built from paper cardboard, lenses, magnets, velcro and a rubber band, puts virtual reality (VR) on the smartphone by displaying 3D scenes with binocular rendering to head movement reaction recorded by magnet inputs. 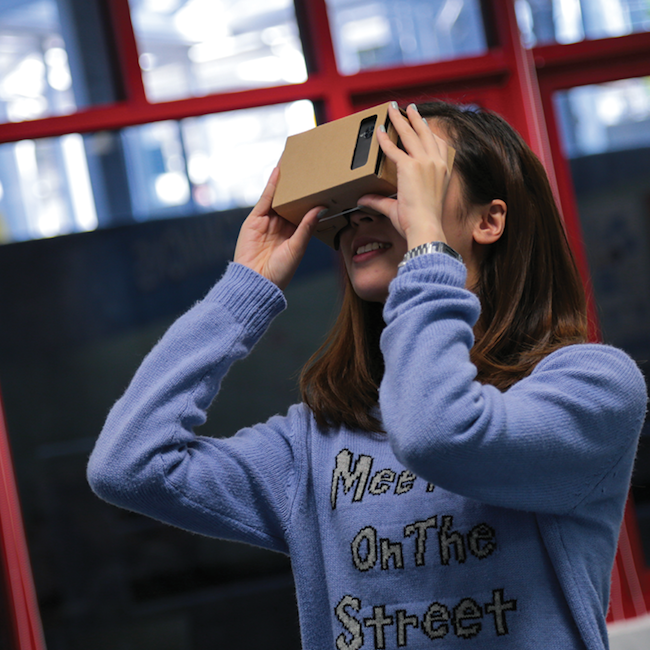 The ‘CityU Escape’ game using the Google Cardboard allows users to experience VR in a simple, fun, and inexpensive way. By pulling the magnetic button on the cardboard, the phone can detect the magnetic changes, which act as performing a physical ‘click’ on the screen of the smartphones, enhancing nicer user experience. “Your 3D journey starts in 2D. 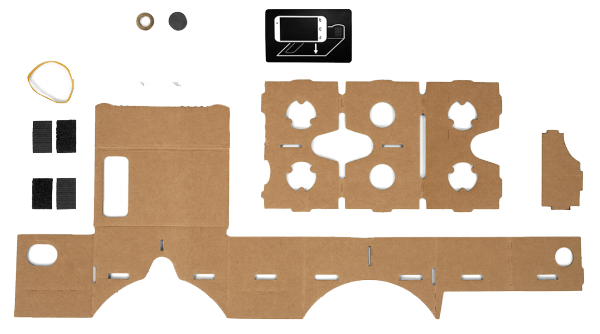 You can construct Cardboard from everyday items you can find in your garage, online, or at your local hardware store. 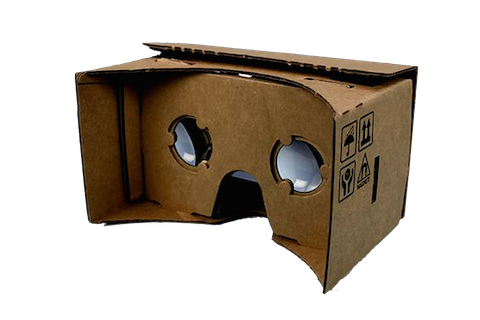 You need just a few things: cardboard, lenses, magnets, velcro and a rubber band,” Google Cardboard is a VR platform developed by Google in 2014.